The H110 Series meters from Anaheim Scientific include options for measuring Illumination (H117), Solar (H115, H117), and UVA lighting (H116, H117). Lightweight, handheld and durable, the H110 Series meters will provide years of reliable service. 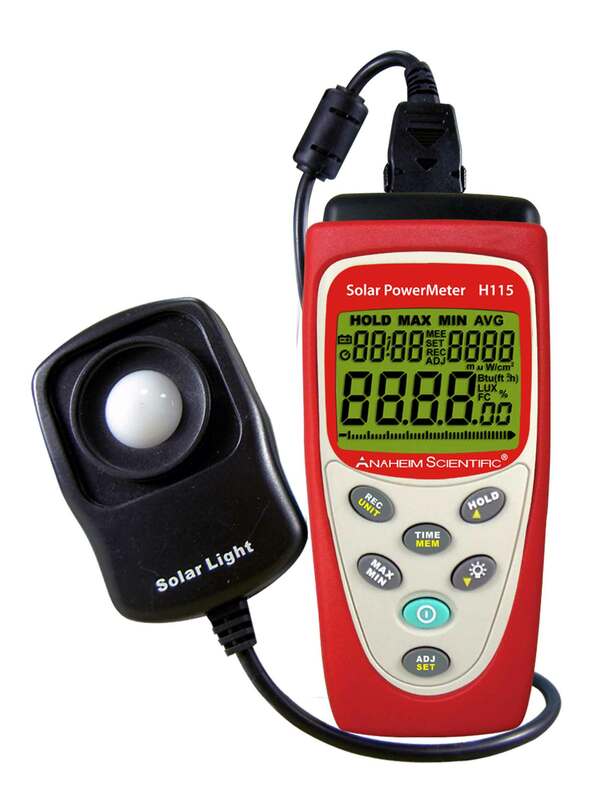 The H115 Meter (shown here) comes standard with the HS115 Solar Power Sensor. The HU116 UVA Sensor and the HL117 Light Sensor are optional accessories. In addtion, the H115 Meter comes complete with a hard carrying case, manual, 9V battery, USB cable, AC-DC adapter, and installation CD. Please click here to contact our distributors directly to find out where to buy the H115: Solar Power Meter.